At P.K. Yonge our goal is to maintain a traffic flow that is both safe and fluid. With many cars coming to campus to drop students off or pick students up in a short time frame, traffic can be a challenge. With commitment from our Blue Wave family – administrators, teachers, staff, parents, guardians and students, the traffic flow on our campus can be grounded in student safety and committed to efficiency. 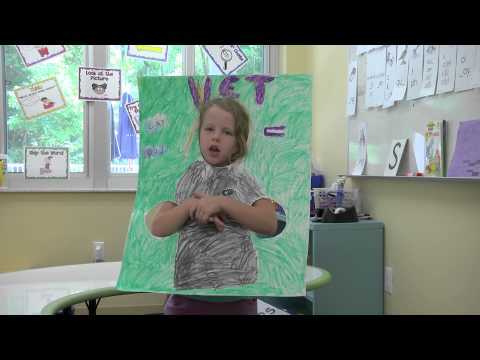 Traffic patterns change during the school day – please watch video and see map below. 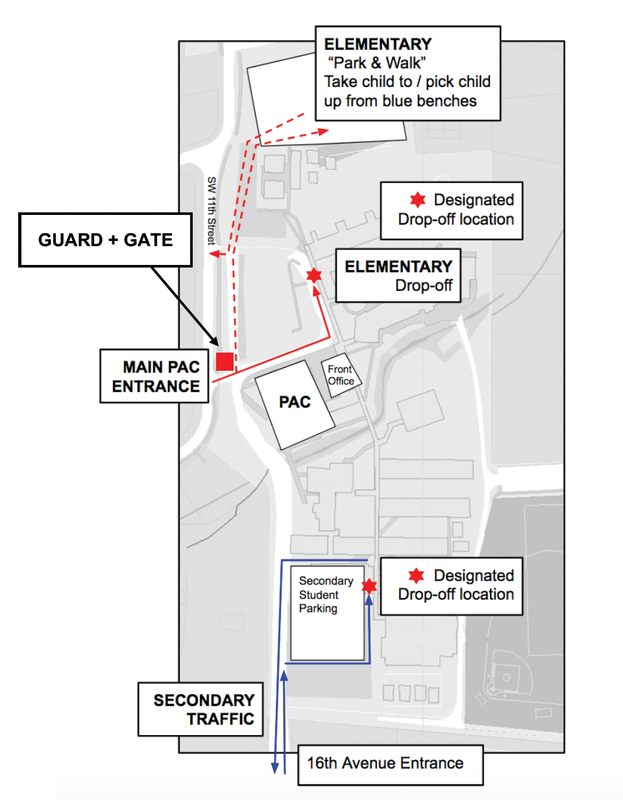 Elementary families may drop-off and pick-up students by entering through the MAIN GATE near the PAC. If parents wish to park and walk to the blue benches, they may enter through the MAIN GATE near the PAC, and park in the north unpaved lot. Secondary families and student drivers are encouraged to enter through the 16th Avenue entrance for drop-off and pick up. 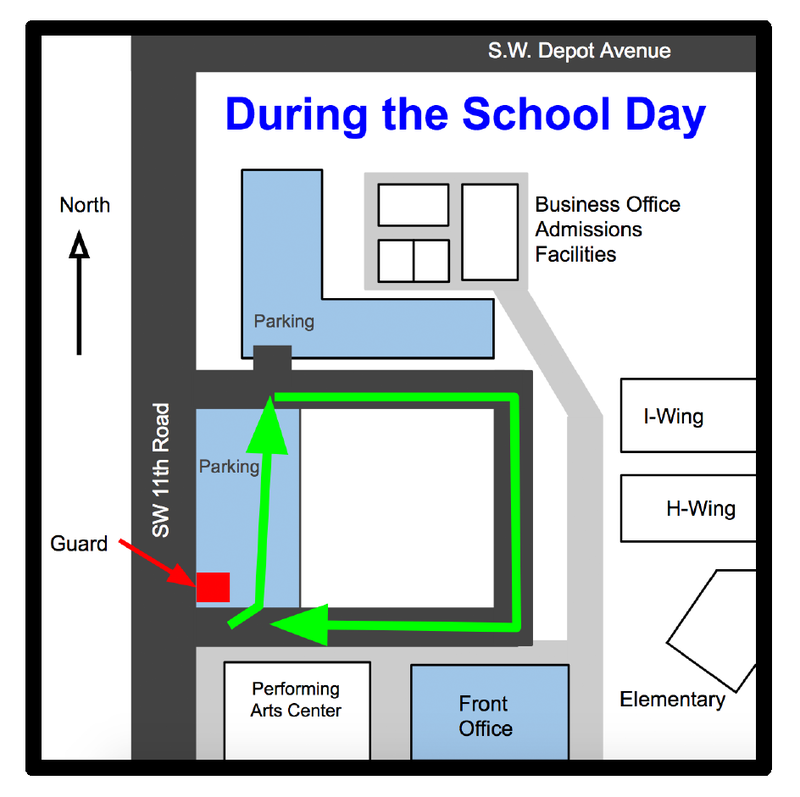 During the school day, ALL families, and visitors to campus must enter through the MAIN GATE near the PAC. Traffic patterns alter during the school day. After 8:30 and before 2:00 (12:15 on Wednesday), traffic reverses in the Front Circle.